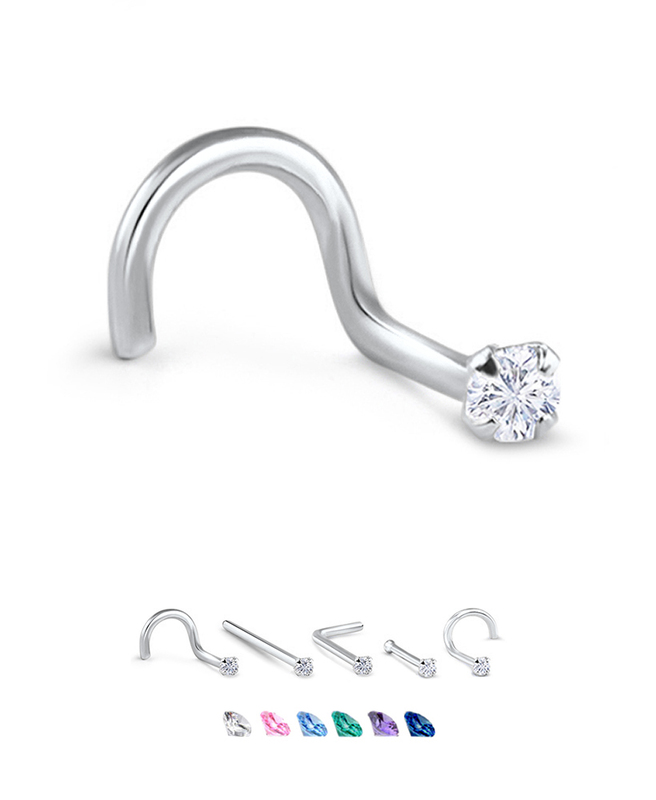 Stamped, solid white gold nose ring with a 2mm top quality cubic zirconia gem. The gemstone is designed to lay flat on the nose. Wearable Post Length 6.5mm unless otherwise stated.